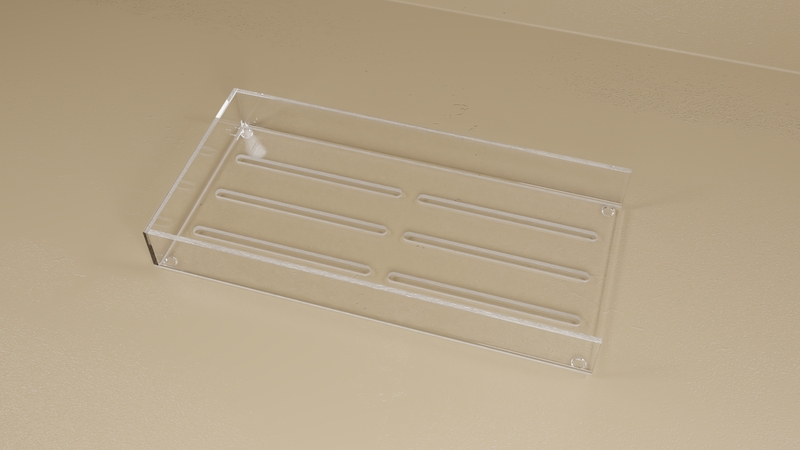 This tray holds tissue culture dishes and flasks during storage, transport or incubation. It is able to support fourteen 100mm dishes or four 250mL flasks. Six slots on the bottom will allow air flow when used in an incubator. 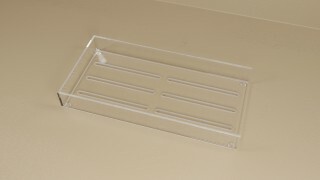 A recessed bottom plate makes trays stackable for secure transport and storage.